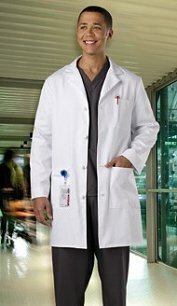 Fashion follows function, comfort, and that pristine look your patients deserve. 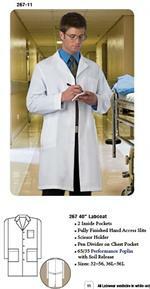 Ensure your coat agrees by selecting Meta Lab Coats from ScrubsUnlimited.com. 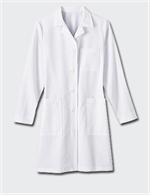 Our attractive Meta Lab Coats for women and men are designed to give you comfort that works for you. 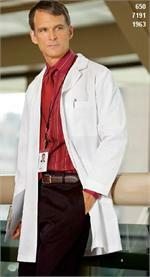 You have enough to worry about on your rounds. 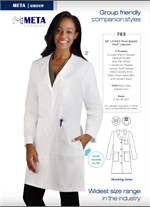 Your lab coat shouldn't be one of them. That's why we offer stylish, white, blend and 100% cotton lab coats for men and women for you to choose from. 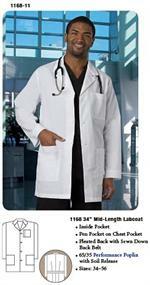 Style options include dual pocketed, multi-pocketed, twin, consultation, short/poplin, and unisex. 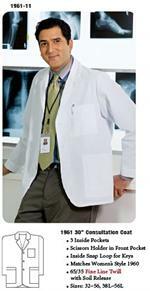 Whites have been a staple in medical and science industries for a very long time. 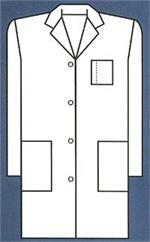 The light materials are easy to wear and make soiling apparent, helping us quickly clean and address contamination. This function is essential, but so is your appearance. 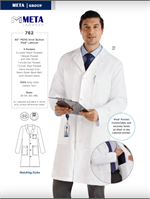 Get the best of both worlds with help from Meta Lab Coats for women and men from Scrubs Unlimited!